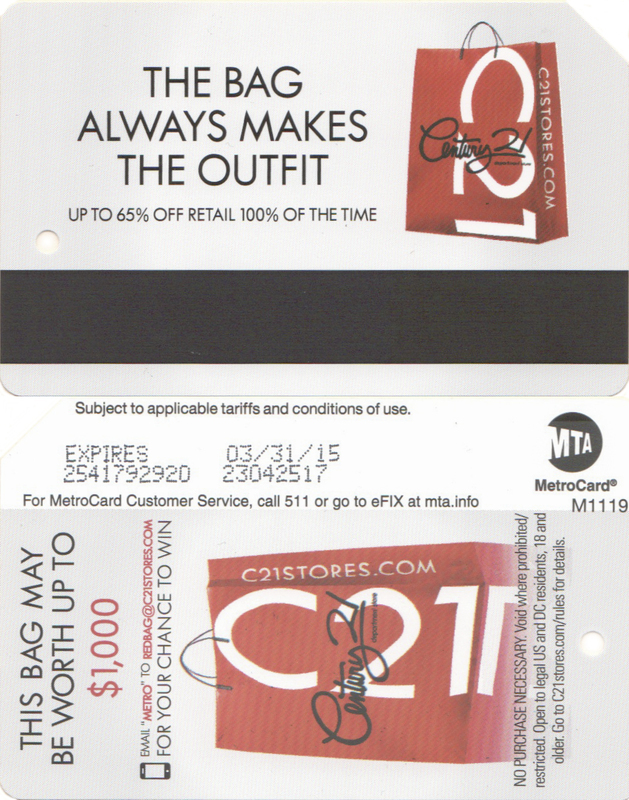 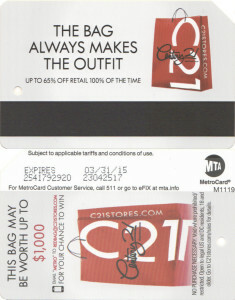 Century 21 Department store made this double side metrocard promotion. 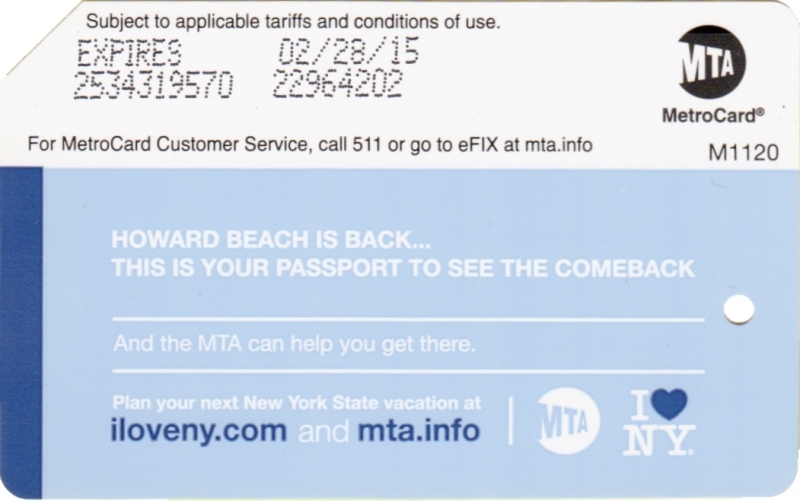 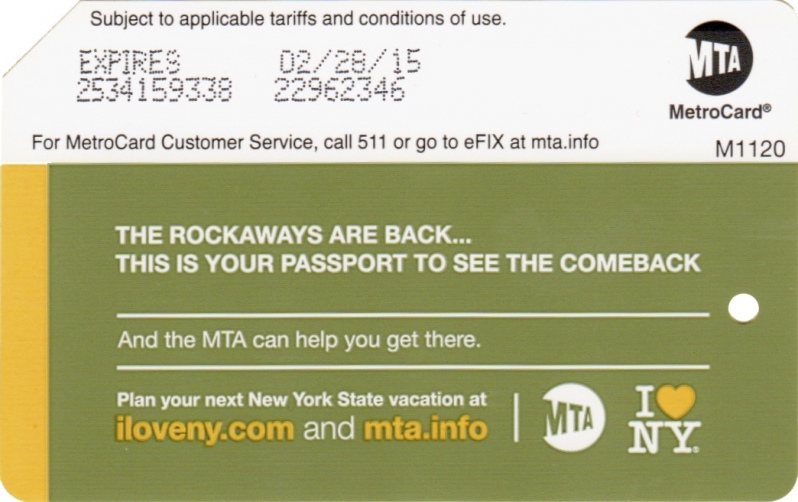 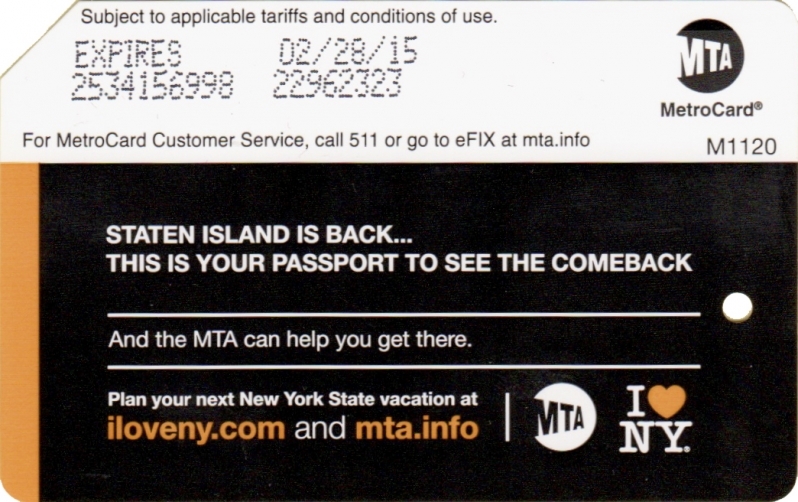 One year anniversary of hurricane Sandy was commemorated with 6 metrocards set ‘O love New York’. 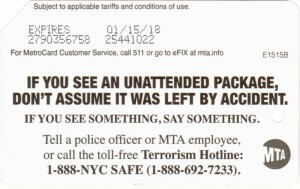 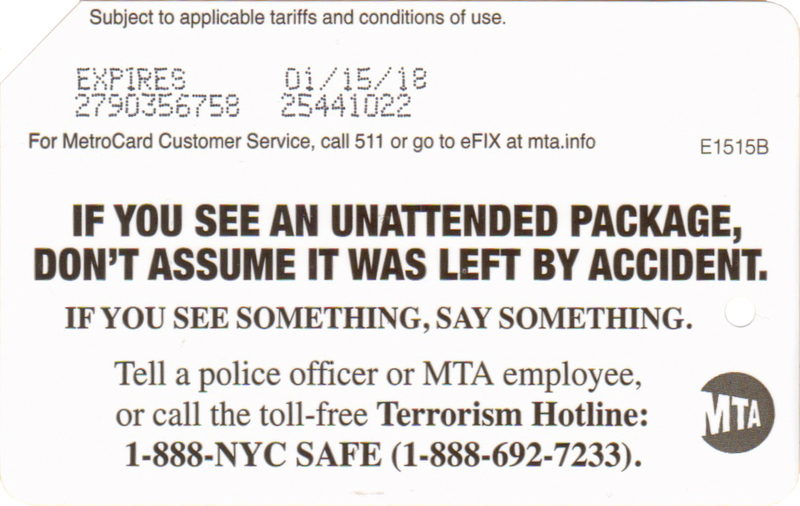 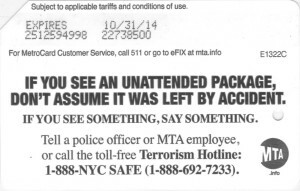 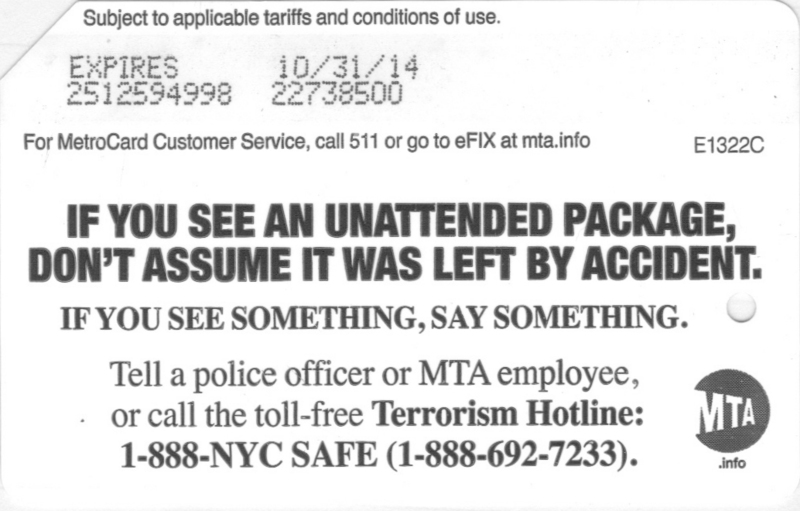 All cards have circulation of 50,000 and were released on the same day 10/29/13 at MTA booths around the city where most tourists attractions are, like Times Square, Penn Station, GCT and etc. 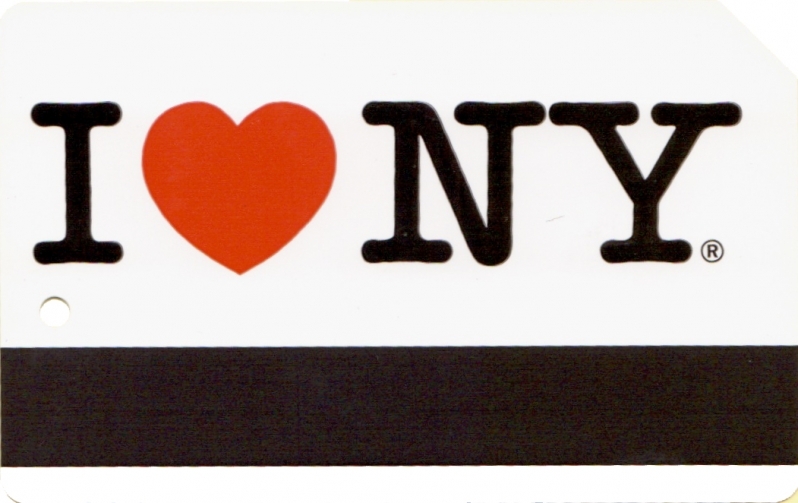 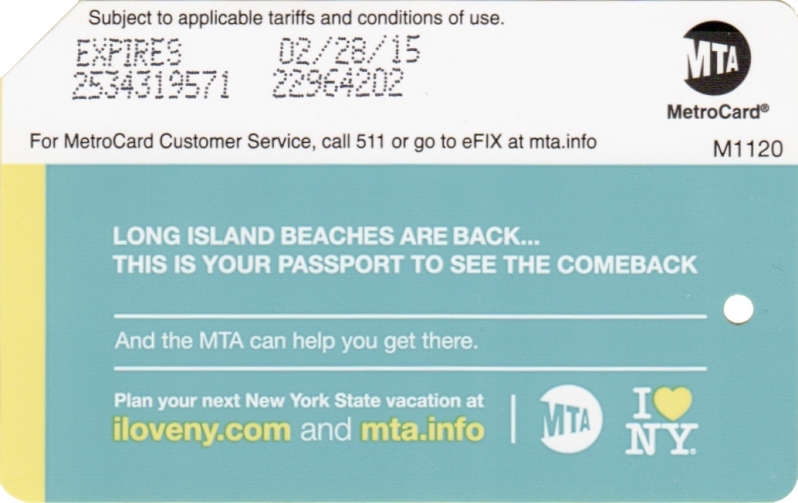 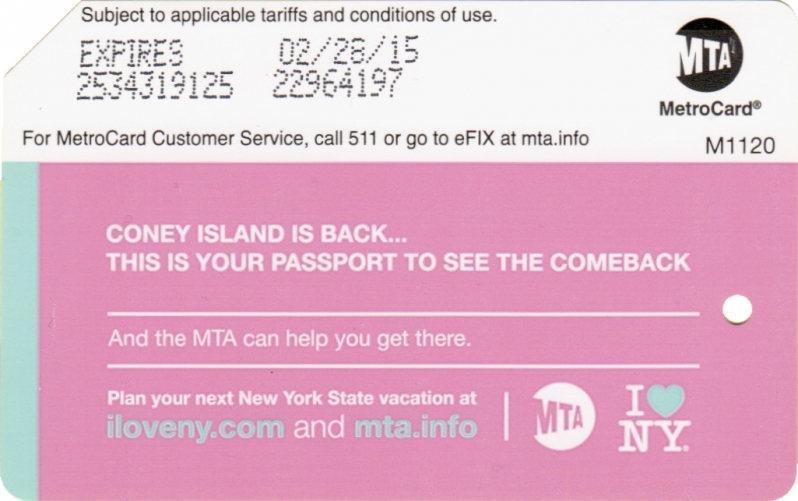 All cards have the same design with front side white and ‘I heart NY’ logo. 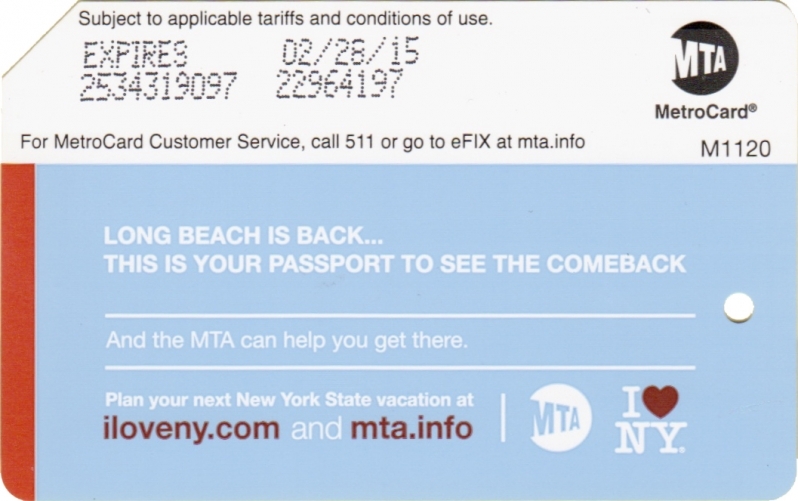 Back sides have messages promoting visits to areas most devastated by hurricane. Main floor clock featured on another metrocard to celebrate Grand Central Terminal. 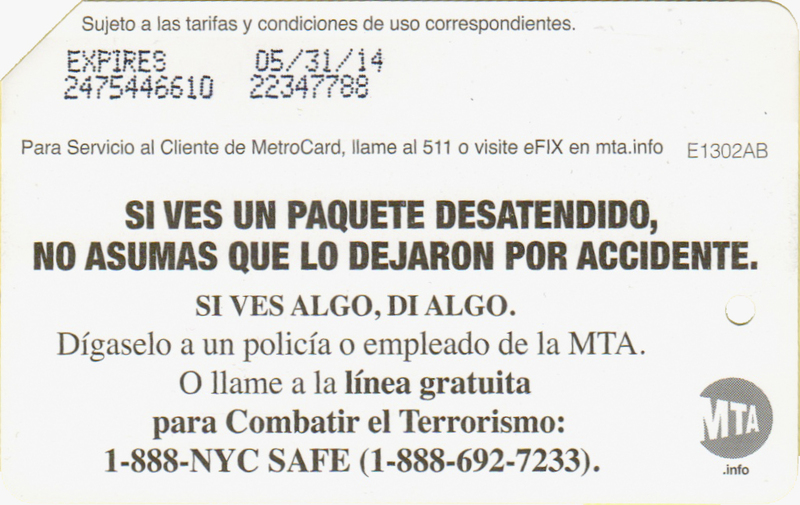 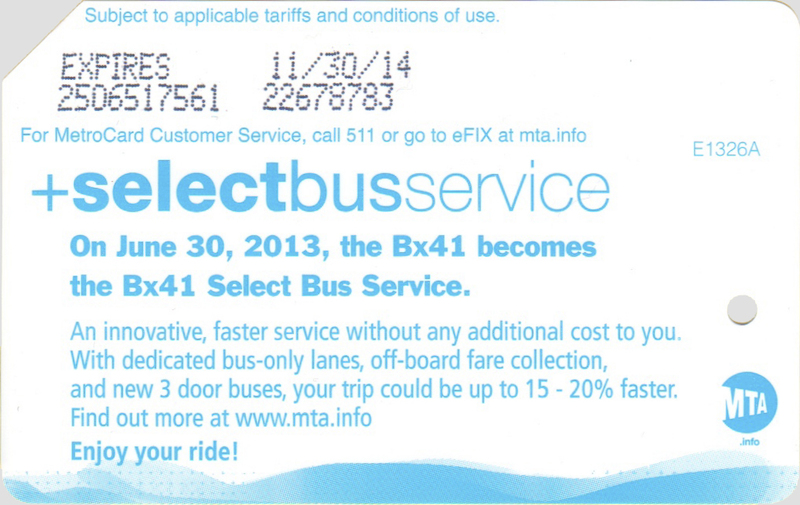 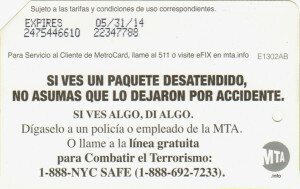 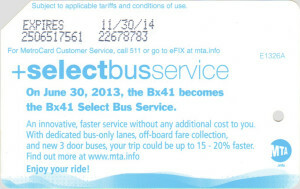 Metorcard with another select bus service introduced in the city, the Bronx line Bx41. 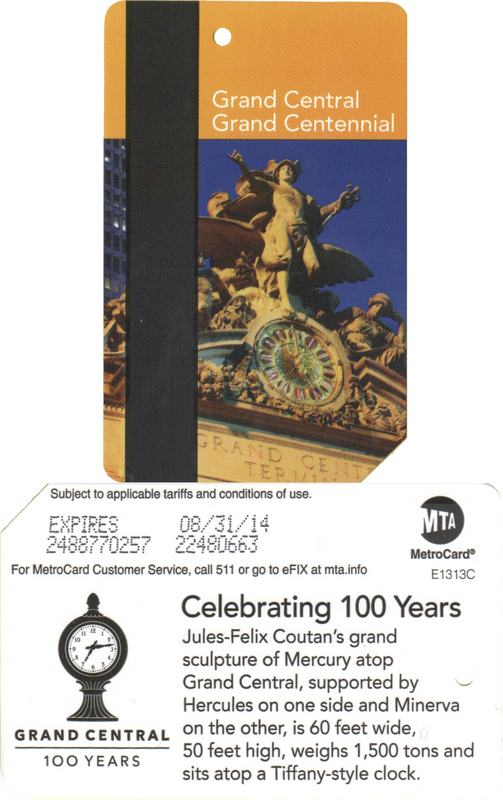 This is very limited edition. 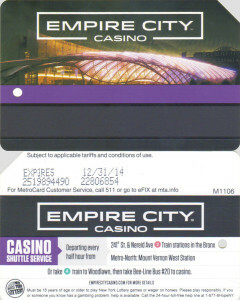 Another metrocard promoting gambling at casinos – Empire City Casino. 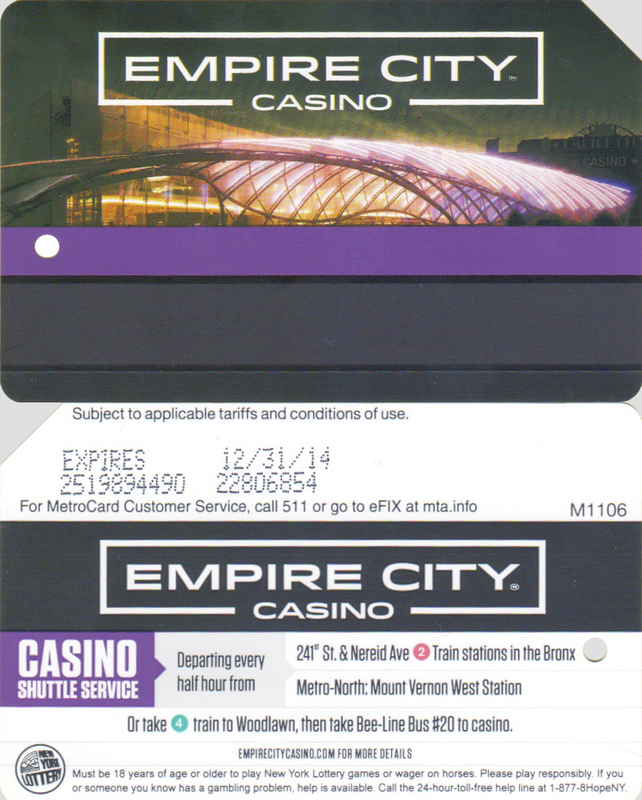 Metrocard advertised Resort World casino near JFK airport at Aqueduct Racetrack with easy access by public transportation. 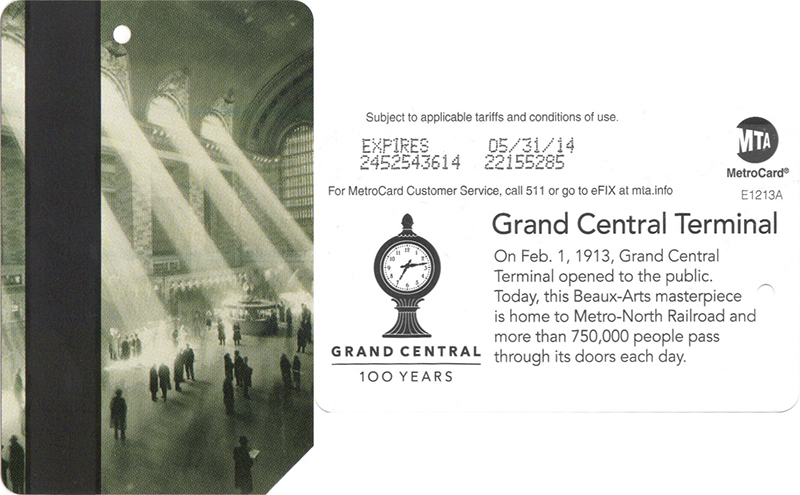 MTA celebrates Centennial of Grand Central Terminal. 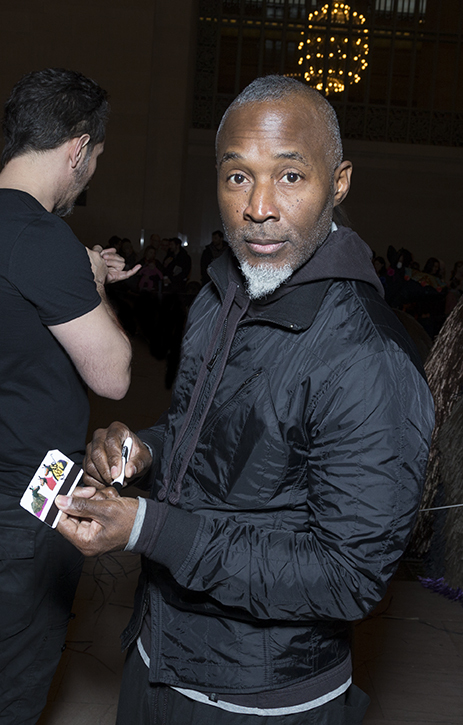 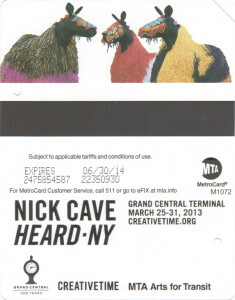 MTA continues to sponsor arts in subways and buses. 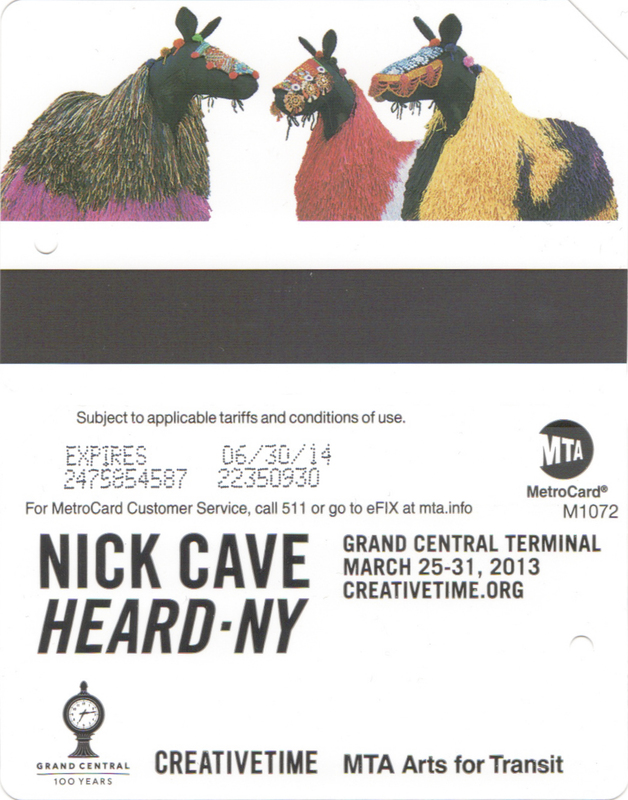 On week of March 25-31, 2013 there is Nick Cave art installation and performance on Grand Central Terminal – “Nick Cave Heard – NY”. 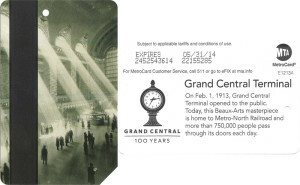 This installation was built as part of GCT Centennial celebration. Metrocard features clock on top of the Grand Central Terminal building as viewed from Park Avenue South facing building. 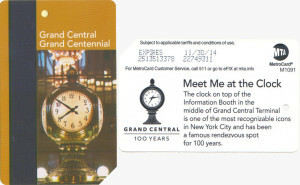 Card has been issued as part of Centennial celebration of GCT.